Mark Ward, Large Format Manager for Middle East and Saudi Arabia, HP Inc, talks us through what innovations they will be demonstrating at Gulf Print & Pack 2019 and how they are responding to trends in the region. We will show two hardware solutions from our portfolio. 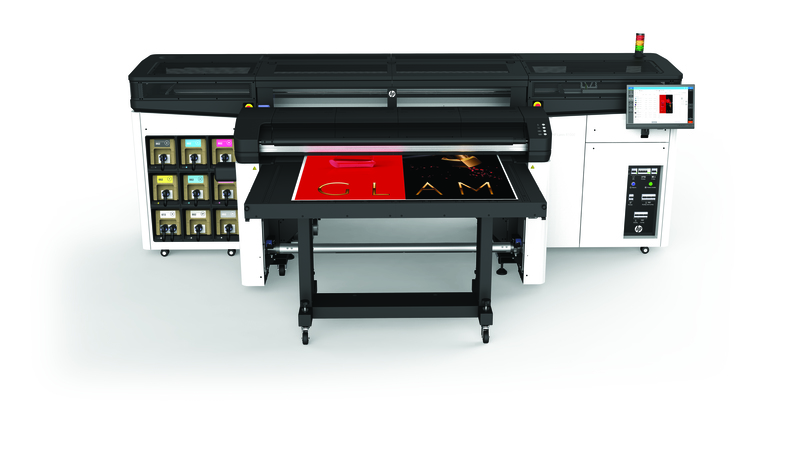 First, the HP Latex R Series, which is a hybrid (rigid/flexible) device based on HP Latex Ink technologies. The Latex Ink provides a platform that can print on just about any substrate and provides scratch resistant, high-quality and durable prints. The second is the HP Pagewide XL, a pigment-based device with a throughput of 23m/min (15 B0/min) that is targeted to Print Service Providers or Commercial Printers looking to provide retail poster printing services but may also need to cover architectural/CAD work in one device. Both platforms drive operational efficiency and reduce overall costs. Furthermore, both devices deliver odourless prints and comply with environmental standards, making them the perfect solution for indoor signage and décor solutions at home, in restaurants, across retail spaces and hospitals. Yes, this is our second time at Gulf Print & Pack. The show gives us a welcome opportunity to open a dialogue with customers from across the region and to get a better understanding of their specific needs, while demonstrating our existing solutions that best fit their needs. Customers are reporting a reduction in print volumes in signage. Time will tell if this is a cyclical or secular change in the market with the backdrop of digital, social and mobile marketing. With this, customers are looking for markets and segments that give them the opportunity to grow their margins; two key areas where we are witnessing those developments are in the decoration and textiles sectors. We have a positive outlook. We are expanding our product offering and move into new market segments such as decoration and textiles. We see signs of recovery in the Saudi Arabian market with volumes growing and the requirement for new platforms rising. Furthermore, with Dubai Expo 2020 on the horizon we see opportunities for signage and exhibition decoration. Digitisation of industries and segments will continue – industries such as decoration are mutli-billion-dollar markets with single digit share for digitally produced materials. The benefit to the industry is to be able to create fashionable designs within a constantly shifting market whilst taking the worry out of predicting what will sell and help cut stock- and warehousing costs, while helping to reduce waste and complexity. Advances in IoT, the Cloud and Big Data will drive operational excellence and reduce downtime through the provision of unique analytics, insights, alerts and predictive maintenance. As an opportunity for us to engage with customers and partners throughout the region and prove the capabilities of HP solutions in meeting our customers’ needs. With the HP Latex R series, we will show application versatility – the ability to print on just about any substrate and get scratch-resistant, durable prints with HP Latex Inks. With our high-efficiency curing system, prints come out dry and ready-to-use with the colour, quality, and consistency you expect with HP Latex printheads and the spectrophotometer. Customers will be able to embrace a more sustainable approach with water-based inks and energy-efficient printers. Odourless prints allow to tap into new indoor spaces, previously untapped by solvent and UV inks. The Pagewide XL, named after its page-wide printhead array, is the fastest printer in its class. For customers with a volume that is too high for a traditional inkjet printer and too low to be practical or cost efficient to move to offset, the HP Pagewide XL provides a solution for producing retail store signage that is high quality, easy to produce and with an excellent overall low cost of production. That we, as HP, support our customers – through our applications, products and services – to reach their next level of business growth and efficiency. In today’s business climate, finding your competitive advantage is key. With more application versatility than ever, businesses can now accept new challenge and seize every opportunity. Our goal at HP is to provide solutions to customers to unlock these opportunities and grow their business. HP will be exhibiting on stand 2E12 at the show.